Dubai – Size Isn’t Everything. For anyone who is anti-Dubai because of the colossal buildings, huge manmade islands and glitz and glamour, David Whitley discovers a city even the pessimists will love. Nasif Kayed is holding court with a roguish grin. He is presiding over what’s supposed to be a conversation but often reverts to something resembling a stand-up comedy routine. The purpose of this unusual group breakfast at the Sheikh Mohammed Centre for Cultural Understanding is to open a few minds and dispel a few myths about Dubai and wider Middle Eastern culture. No questions – practical, religious or personal – are off limits. With multinational bottoms parked on cushions around a central rug, the discussion veers from the origins of coffee – Arabica beans were first discovered in Yemen by villagers wondering why their sheep were so unusually energetic after eating them – to why men wear white and women wear black. The white traditionally offered better camouflage while hunting in the sand, while black is supposedly best for keeping the heat off. For anyone rolling their eyes at the thought of spending a few days in a crass, bling-flinging city of Premier League footballers on sunbeds, giant shopping malls and ostentatiously tall buildings, the Sheikh Mo Centre should be a compulsory first stop. It’s in Bastakiya, a preserved pocket of what Dubai used to be, on the south-western bank of the Dubai Creek. Bastakiya is one of Dubai’s first settled areas – the simple grey houses are put together with the coral stone and gypsum that were once the best materials available. The traditional wind towers hark back to the days before air conditioning units. Bastakiya seems an anachronism, but it has found its place as a cultural quarter. The pedestrianised area boasts warren-like lanes that play host to art galleries, small guesthouses, vegetarian cafés and niche interest hubs covering topics from calligraphy to coins. It’s somewhere that doesn’t belong in the broad-brush stereotype of Dubai, but it doesn’t take long to realise that the city has startling variation and complexity. This is illustrated beautifully just to the north of Bastakiya, on the street directly behind the Grand Mosque. As the call to prayer rings out, the Indian merchants of Hindi Lane are selling bangles and figurines of the Hindu elephant god, Ganesha. The lane merges into the textiles souq, a pushy blizzard of saris and luridly bright fabric cuts. It’s part of a mammoth souq complex that spans five square kilometres and both sides of the Dubai Creek. Crossing the creek to the spice, fish, gold and perfume sections is done much the same way that it has always been done – on a wooden abra. The boatmen wait until their perfunctory ferries are full, then embark on the five minute chug across the water. Along the water’s edge, a few strides south-east from the saffron, hibiscus and dried lemons of the spice souq, is the Dhow Wharfage. Here, ships from around the world unload plasma TVs and fridge freezers. There are no security guards or wire fences protecting the bounty – they stand unmolested in the sun until they’re ready to be picked up. It’s an indication of both Dubai’s crime rates and the source of the city’s wealth. It’s not about oil – it’s always been about trade. A return abra clunks into the jetty on the cusp of Shindagha. Like Bastakiya, the traditional Arabian houses have been preserved here, with some being turned into a highly touristy ‘heritage village’. Unless you’re massively into dancing shows, a better bet is the house of former ruler Sheikh Saeed al-Maktoum. Inside it are hundreds of photos of Dubai from the 1940s and ‘50s. Some are quite extraordinary. One has a man walking down Jumeirah Beach with a basket of shopping on his head. If he tried that now he’d trip over sunbeds and get turned back by security guards at the resorts. Another photo shows palm-roofed houses at the back of Shindagha backing onto empty desert sands. It’s a reminder of how drastically the city has ballooned in just 60 years. It’s a scarcely comprehensible transformation; a super-scale taming of stark nothingness. But you only have to drive five kilometres inland from the 21st century coastal strip to find the beginnings of the ancient desert. Said desert begins dusty and windblown, with powdery white wisps dancing across the road, but soon morphs into rolling golden dunes sprinkled with isobar-style waves of deep rusty red. It’s proper Hollywood, Peter O’Toole on a camel desert. And it’s spellbinding to even the biggest cynic. Two hundred and twenty five square kilometres of this cinematic sandscape has been set aside as the Dubai Desert Conservation Reserve. Unless staying overnight in the super luxurious Al Maha Desert Resort the only way in is on a tour with Arabian Adventures. That’s no bad thing though – it keeps out the litter unfortunately strewn around by dune buggying petrolheads elsewhere, and the evening Sundowner tours are done exceptionally well. Bookended by falconry displays and a meal at an isolated desert camp, the highlight is driving along the dunes in a snaking conga line of Toyota Landcruisers. The 4WDs lurch up and down the sandbanks, totter along fragile ridge lines and pass nobly ambivalent oryxes before setting passengers down for a dramatic sunset of fiery red ball and subtly shifting light perfection. The road back to the city passes the bright lights of the Al Lisaili race track. But it’s not horses that are raced there. Turn up at dawn, saunter up to the trackside rail and you will see camels lumbering past in their inelegant attempt at a gallop. Some are ridden conventionally, being broken in by trainers. But the race-ready ones have tiny robotic riders. They’re followed around the track by men with remote controls in 4WDs, flipping switches whenever they decide the electro-jockey needs to gee its steed up. It’s a surreal insight into Emirati life; the urbanised wealthy trying to keep a finger-hold on their Bedouin heritage with ‘my camel’s faster than yours’ one-upmanship. There’s no betting; just pride and prize money at stake. But to concentrate on Emirati culture is to miss the point of Dubai; citizens make up only 11.5 per cent of the UAE’s population. The rest have come from around the world to make a truly global city. Nowhere is this more obvious than in Deira on the north-eastern side of the creek. It’s a decidedly unpolished world of Lebanese bakeries, Pakistani tailors, Somali barbers and Iranian wholesalers. It’s also the favoured haunt of Frying Pan Adventures’ Arva Ahmed, who has been running food tours of Deira since January this year. The best way to unearth Dubai’s unheralded heart is through your tummy – Arva combines passion for culinary history with a devastatingly thorough knowledge of which restaurant does which dish best. That means otherworldly falafel stuffed with onions and chilli paste on a terrace outside a shabby-looking Palestinian joint, extraordinary eggplant dips in a non-descript mall’s Iranian restaurant, then gorging on Yemeni chicken and rice dishes inside a carpeted tent. It expands both stomachs and horizons, delving gratifyingly far beyond Dubai’s surface sheen. But that turns out to be a consistent theme. The Gulf’s golden child may revel in record breakers, ridiculous land reclamation projects and flaunted wealth, but there’s another definition of richness. And it’s one that applies to Dubai more than you might expect. QANTAS is routing its flights from Melbourne and Sydney to Europe through Dubai instead of Singapore from 31 March. Emirates flies regularly from Perth, Adelaide and Brisbane too. Expect return airfares to cost between $1500 and $2400 depending on season. Avoid the summer months (June to September) when temperatures regularly hit the 40s. November to February is prime time for pleasantly warm weather – though it’s tolerable between March and May, when accommodation prices start to drop. Comfortable: The Arabian Courtyard Hotel offers excellent four-star bang for buck in the perfect location – it’s an easy stroll to Bastakiya, Shindagha and the abra station. Boutique: The XVA Art Hotel in Bastakiya’s pedestrianised maze is equal parts gallery and quirky accommodation. It’s fairly light on facilities, but resoundingly ticks the heritage and fun boxes. Luxury: The Park Hyatt eschews gaudy bling in favour of a classy, relaxed resort vibe. Creek views, excellent restaurants and arguably Dubai’s best spa. The desert-conquering city invited the world in, but allowed the newcomers to keep their own cultures while Dubai was building its own. Dubai is what you want it to be. Aside from around the creek, it’s arguably the least pedestrian-friendly city on earth. In parts you have to get a cab to cross the road. 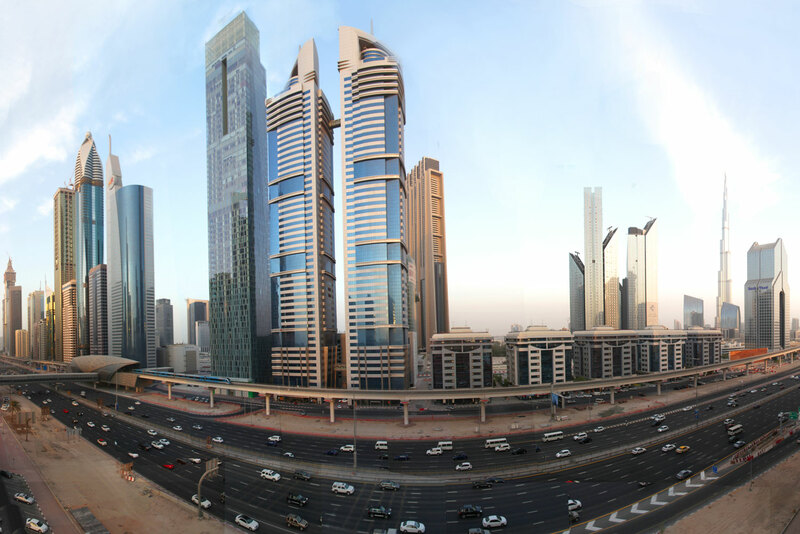 Taxis are relatively inexpensive – $20 should get you from the creek to Dubai Marina – but are at the mercy of traffic. Getting the Metro is always cheaper, and often quicker. Don’t expect an easy walk to and from the Metro stations though – a train/cab combo is often the best strategy. By Arab standards, Dubai is astoundingly liberal. But dress respectfully and keep beachwear for the beach. Locals beat the summer heat by rationing time spent outside. It’s partly why the air-conditioned malls are so popular. The historic areas are best explored in the evening when it’s marginally cooler. Heading into the desert helps too – it’s still roasting, but it’s a dry heat rather than the sticky humid heat of the city.